L.C. Fashion – An International Buying Office for Household and Fashion Retailers worldwide. You want to buy in France and Europe ? You want to have the best brands in your stores ? We can help you connect with European suppliers. We offer our prestigious clients – well-known and reputable Stores and Dept. Stores – our unique and specialized knowledge of the fashion world. 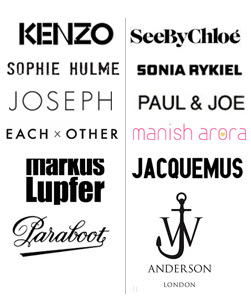 We assist our clients in scouting trends and sourcing brands that meet their needs. LC FASHION help them contact and purchase brands, and take care of the follow- up with suppliers until they receive the goods into their warehouse. We also support them with all marketing and communication aspects. We are reliable and servicing major Stores and Department Stores all over the world. We provide them with the best help in buying, and the best brands for their markets . We supervise logistics and work closely with suppliers on our clients’ behalf, to ensure they comply with our clients’ requirements. We are a dependable go-between for our clients and have long established relationships with fashion houses and designers.